InFocus Corporation has partnered with AOPEN, a commercial Google Chrome device manufacturer. This partnership has enabled the two companies to create the JTouch Chrome 70, a large-format, touch-enabled interactive Chrome whiteboard display specifically designed for the U.S. and Australian education markets. 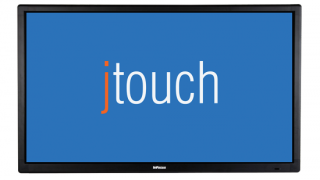 The JTouch Chrome 70 pairs the 70-inch InFocus JTouch, which features advanced interactive touchscreen technology, including projective capacitive touch, with the AOPEN Commercial Chromebox. The JTouch Chrome enables teachers and students to learn with the same software and tools they are already using on smaller devices. The ease of use of cloud-based Chrome devices makes them well suited for the classroom, where teachers are focused on pedagogy, not mastering arcane technology. Interactive screens add additional value, with studies showing that they enhance instruction and learning. The global market for pre-K-12 interactive boards is expected to pass USD $1.1 billion by 2020. The JTouch Chrome pairs the InFocus JTouch interactive whiteboard and the AOPEN Commercial Chromebox, enabling educators to leverage their familiarity with the Chrome environment on a large, classroom-sized touchscreen. Continuing InFocus’ long-term commitment to education, these products will be sold with education discounts and as part of its education programs in the U.S. Available in late Q3 2017, the JTouch Chrome will be sold through InFocus and AOPEN partners in the U.S. and Australia.